Oh, look. It's your bedroom ceiling. Except you're supposed to be looking at the inside of your eyelids. Instead, you're looking at the start of another sleepless night. Maybe you're not sure why you're awake. Or, you know why, but have no idea what to do about it. Don't worry, these 9 tips will help send you to dreamland in no time. As with many types of medical conditions, insomnia has classifications. If you're only losing a night here or there (which is still awful, we know) it's acute insomnia. If you're staring at the wall more than three nights a month, it's chronic. Both conditions not only affect your nights, but your days as well. You may have difficulty concentrating at work. And in an ironic twist - difficulty staying awake. It may not only be affecting you, either. Your tossing and turning could be keeping your partner awake, too. So, why am I awake? There can be a number of underlying causes for insomnia. If it's acute, it could be something like stress about an upcoming deadline. Once the project's over, many people can get back to their normal sleep patterns. But those are the easier fixes. Chronic insomnia can have reasons more difficult to figure out and correct. And the stress from that process can lead to more sleepless nights. You might think sleepless nights are all in your head. You're partially right. Here are two of the major external triggers for insomnia. Insomnia can be caused by its temporary cure: caffeine. The sleepier you are, the faster you'll reach for that instant jolt. The more times you reach, the harder it can become to get to sleep later. Studies have shown that blue light can disrupt your sleep cycles. The light from your favorite things - phone, iPad, Kindle - may not be doing your sleep any favors. Not everything that causes insomnia is as easy to fix as skipping Starbucks. If you think these may be keeping you up at night, a visit to your doctor could help. You might think that depression means you sleep too much. But being depressed can cause your mind to race with worry or anxiety. That can make your heart beat faster and faster. Neither are good, any time of day, and especially if you're trying to sleep. Issues like back or neck pain can keep you up at night. Plus conditions like Restless Leg Syndrome can add to your sleeplessness. Even if your pain isn't chronic, something as minor as a strained muscle can make you toss and turn. Some people may find medicines like Benadryl make them sleepy. But, allergy and asthma meds can actually cause insomnia, too. So, how can I fix my sleepless nights? Here are 9 ways to get your sleep back on track. The more you have, the more you need. And yes, while you're firmly stuck in Sleepless Town, you'll need it in the mornings. Limit your intake, and try to have the last cup before 2pm. That way, your body has a chance to process the caffeine before bed. Resist the urge to check your email just one more time before bed. Is it really that important? What's better: a good night's sleep or knowing that something's on sale at the grocery? If you have to keep your phone nearby, place it across the room. Not only can you better resist its charms, but it makes it harder to hit the snooze button. If you go to bed at different times every night, your body isn't sure when it's supposed to be sleepy. Give things a helping hand and set a routine. Go to bed at around the same time, wake up at the same time. That also goes for weekends. If you're up til 4am on Saturday, it's tough to get to sleep on Sunday night. At least for awhile, keep the same schedule seven days a week. Once your sleepless nights are a thing of the past, you can be a little more flexible. Here are some ways to manage shift work, if a routine is out of reach right now. You may be able to get to sleep, but you can't stay asleep. And once you're awake, you're awake for hours. If you said it's because you're too warm, that's one of the easier things to fix. First, start by skipping your pajamas. If that's not enough (hello, summertime), open a window. Ditch heavy blankets or extra-fuzzy sheets that trap your body heat. If you live in a particularly busy area, environmental noise might be keeping you up. Cars, barking dogs, slamming doors can all add up to a sleepless night for you. White noise can help block that out. It's usually a repetitive sound - running water or the wind. If it's summer, you might already be using a white noise machine: your fan. If not, you can buy programmable machines, or even download an app for your phone. But see tip #2, and put it across the room after you turn it on! Ever see a mom take little Johnny or Suzie to the park to "get tired out"? Same goes for you. Daily exercise can help ease you into sleep later. But make sure you don't do it too late or it can have the opposite effect. Essential oils have been used for centuries, to help a variety of things. From disinfecting cuts to helping insomnia, there's something for everyone. Try lavender oil or chamomile to promote sleep. Dab a little on your temples, or on a small cloth, to place under your pillow. You can use them in a warm bath, too. Chamomile also makes a delicious herbal tea. A warm cup of tea might be just thing that helps soothe you before bed. Make sure it's herbal (no caffeine), and don't drink it too late. There's nothing worse than having to get up again! You might think your pillow is soft and inviting, but it might not be so great. It might be hurting your neck or back as you sleep. Try ditching the pillow, especially if you sleep on your stomach. 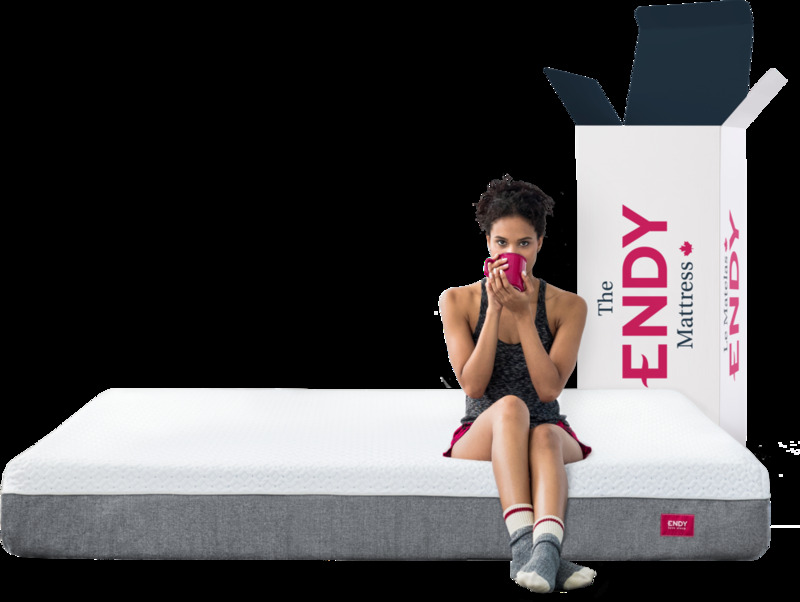 Your mattress also might be causing you sleepless nights. If it's worn out, or simply not the one for you, it might be time for a change. Check out what our satisfied customers think of our mattresses. Shop now and get on your way to a better night's sleep.